Health systems are designed to help patients. But what about doctors? Help the doctor! 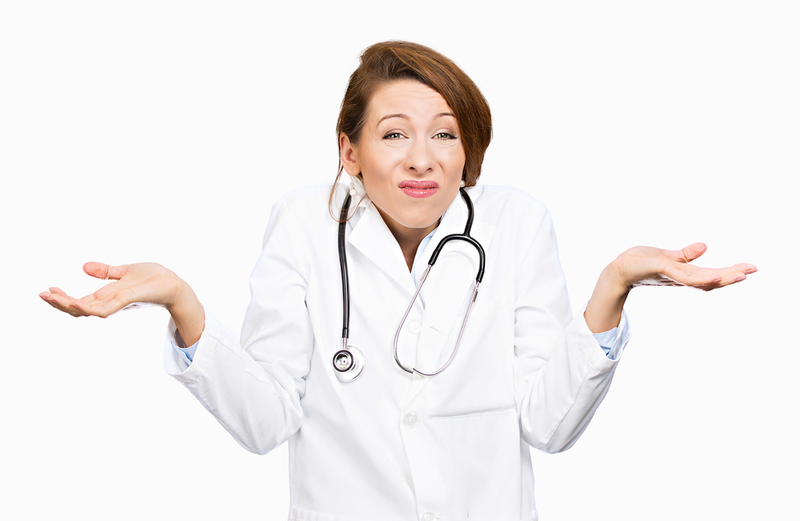 When systems and the system fail physicians. Help, I need somebody! Help, not just anybody! Help, you know I need someone, help! We are all here on earth to help each other; what on earth the others are here for I don’t know. I’m sure most surgeons have heard this exasperated statement at some point in the operating room. It is said with that special mix of frustration, irritation, and sarcasm, usually when things aren’t going smoothly. When there is fumbling or bumbling, when the assistance, the systems, the help are failing, breaking down. That same emotional mix is permeating medicine; this statement of exasperation could well be the new rallying cry for physicians. Since I have started to write, I have also started to read even more of the blogs out there, primarily the medical writing. Part of writing is reading. As I write about the subjects and issues and events that touch my professional life, I have noticed that many of the same are on the minds of my colleagues. They likewise broadcast their thoughts to the universe. I am conflicted, I confess. I don’t know whether I feel a tinge of disappointment that my observations and epiphanies are not so singular or earth-shattering, being shared by others; or vindicated, to see so many with similar experiences leading them to similar observations and conclusions. We each are unique, though, with slightly different angles as we approach the topics, like the facets on a diamond. But, we are all on the same gemstones, and like the facets, reflecting more light, illuminating the stone. So I will claim my facet on the gem, and hope to illuminate. I add my voice to the chorus. One thing that shines through so clearly to me as I read, as I go to medical meetings, or even attend any gathering involving two or more physicians, is the general sense of frustration. It touches all doctors, regardless of specialty, employment status, or even level of training or experience. It comes as no news to observe that our capital-S System is broken and that our lowercase-s systems are failing us. I think that the root of the problems with both share a common underlying cause. These systems no longer help the doctor. If you accept that the point of The System or the systems is to help the doctor take care of the patient, then you can begin to understand why they frustrate the doctor. They distract the doctor, they control the doctor; at their worst they undermine the doctor, or even try to replace the doctor. That does not help the doctor, and most importantly it does not help the patient. We are operating in a Healthcare System that is not a system at all. There is no coordination, just a group of entities stuck together by red tape, with no cohesive and unifying mission or philosophy — indeed, often conflicting. The smaller day-to-day systems we deal with are no better. From EMRs to billing and coding; the myriad requirements and rules and regulations from all directions; from hospitals, from insurance companies and Medicare, from the state and federal governments, from state medical boards, from our certifying boards—they all bury us, then demand an equally daunting mountain of data and information. Even as this data is collected and collated, it is to help their agenda, not the doctor, not the patient. The interfaces are designed to suit the third parties, the doctor is last in mind, if even considered at all, as these systems are designed and implemented. They simply do not help the doctor. In fact, they get in the way. It is almost as if these systems were designed to be in the way. Driving a wedge in between the patient and the doctor. Widening the gap between doctors, pitting medicine against surgery, primary care against specialist, employed against independent. Friction and conflict when goals and priorities aren’t aligned with the hospitals or the insurance companies. Opening the door to usurp the doctor, replace them. Doctors have special skills, talents, and education. They also have a deeply rooted and profound calling to this profession and the practice of medicine. But these systems serve to frustrate and marginalize us; disenfranchise and devalue us; take away independence and autonomy, substitute algorithms for critical thinking. This is a recipe for frustration and the malaise that is rampant among physicians. Feeling out of control of our profession and professional lives, devalued, and dismissed. The frustration turns to pathology for many physicians, with epidemic numbers of burnout, depression, even substance abuse, and suicide. In the last few months at large meetings, I have heard from speakers who have been in positions of power and influence in government and health care policy (not all were physicians). Each of the speakers, despite different venues speaking on different topics, sent a similar message, bemoaning the lack of physician voices and representation as they (the speakers) were tasked with developing policies and rules and regulations for physicians and the health care system. They couldn’t believe the individual physicians could not find time to call or meet. There was even an air of dismissiveness about the participation they did receive from organized medicine, the professional associations and societies that try to represent the collective voices of their members. First, in this present day, the practicing physician “in the trenches” is literally straight out between 9 and 5 (when most of the policymakers, movers and shakers, are in their offices and available for a call or a visit). In fact, most practicing doctors, regardless of their specialty, are starting their days well before 9, and working far past 5, and likely skipping lunch and even bathroom breaks in the process. There are meetings and lectures and administrative obligations to occupy more time. So despite the incredulity these speakers expressed at our overbooked schedules, the reality is that there isn’t time during the day to call or meet with most doctors. And even if we had the time, how do we know who to call, who wants to hear from us, and when it is timely? If they can’t be bothered to listen to my professional organizations, like the American Medical Association or the American College of Surgeons, or the Massachusetts Medical Society, all of which represent and speak for me, why ever would I think they would listen to me as an individual? Second, if they, and any/all policymakers, are really interested in the voices of individual physicians, those voices are out there. They are on blogs, both individual sites as well as on sites that conveniently collect and curate pieces gleaned from all over the internet. Doctors are participating in social media too, Facebook, Twitter, Linkedin, Doximity. We are in our professional journals and the lay press. And yes, our professional associations and societies, where our individual voices join with others. Doctors are speaking and writing and blogging and tweeting. I assert with sincere humility, that if I can find the content and voices (and I have), then anyone can. Especially if they are leaders in health care and policy and technology, where I imagine the ability to navigate, this realm is even better developed. Shame on them for not seeking out these voices, finding them, heeding them. Dr. Fred Pelzman eloquently covered this ground. I read his piece on KevinMD after I had written my first draft for this entry. He, too, noted that the doctors are marginalized in health care interactions, and calls for doctors to return to the center of the health care interaction, and the health care system; to participate in reforming and remodeling the health care system around the primacy of the physical patient interaction and the physician-patient relationship. Dr. Pelzman seems to be saying, too, that the system doesn’t help the doctor. I have to believe that the systems and the Healthcare System can be fixed. I agree that we doctors need to fix them. We need to find a way to take a step back, take a deep breath, and then craft solutions. We need these solutions, both for the big-S System and for the little-s systems, understanding that they reflect each other; that the problems in The System are recapitulated in the smaller systems all around us. We need to keep speaking, we need to join and participate in our societies and organizations, so those collective voices carry even more strength and power. We need to write, to keep writing, and write some more. We will be heard. We must engage our patients, and let them know that we have not abdicated our role, that there is still that bond and relationship, between physician and patient. We must find ways to collaborate with those who are devising the technologies, setting the policies, proposing the legislation, building these systems that frustrate us so completely. Demand that they fix and improve them; that they understand that the systems must function for the doctors, and only then will the goals of cost and quality be achieved. After all, the entire point of all of this, The System (the health care system) and the systems, is to help the doctor. Help the doctor take care of the patient. No more, and certainly, no less. Kathryn A. Hughes is a general surgeon who blogs at Behind the Mask.